I do not consider myself an artistic person. At all. I am the opposite of artistic, as a matter of fact. But when it comes to fashion, I like to think of myself as a Picasso, mixing and matching patterns with abandon. Sometimes, it works. Other times, not so much. But I’m crazy like that. I’m a fashion risk-taker. Fortunately, over the years, I’ve perfected the process of mixing and matching patterns, and picked up a few strategies along the way. Maybe a chaotic pairing of florals and stripes isn’t your style, and that’s totally okay. I’m not here to sell you on clashing patterns, if they’re not your thing. But if, like me, you love bold combinations and aren’t afraid to mix it up a little, here’s a guide for wielding your wardrobe pattern palette like a pro. In 3 easy-ish steps. 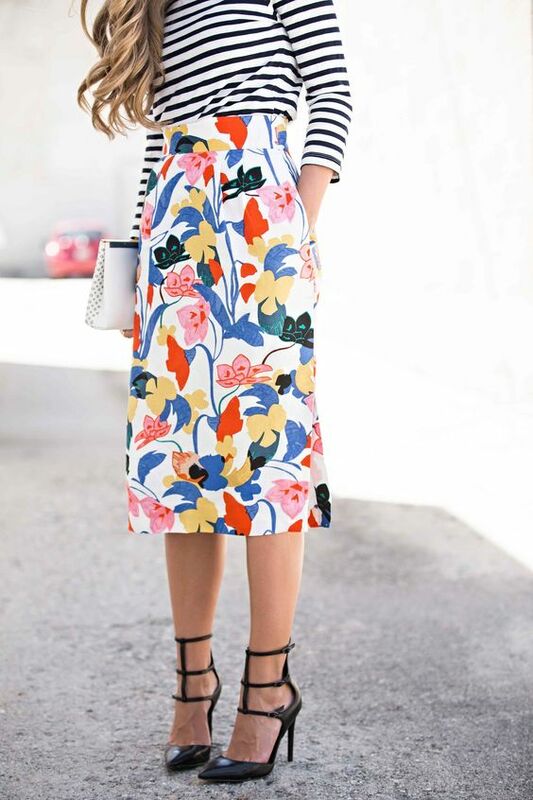 Rule #2: Mix small-scale prints and large-scale prints. If you’re a beginner at this whole print-mixing thing, one simple rule to remember is that the key to a successful mixing of prints is a contrast between scale. 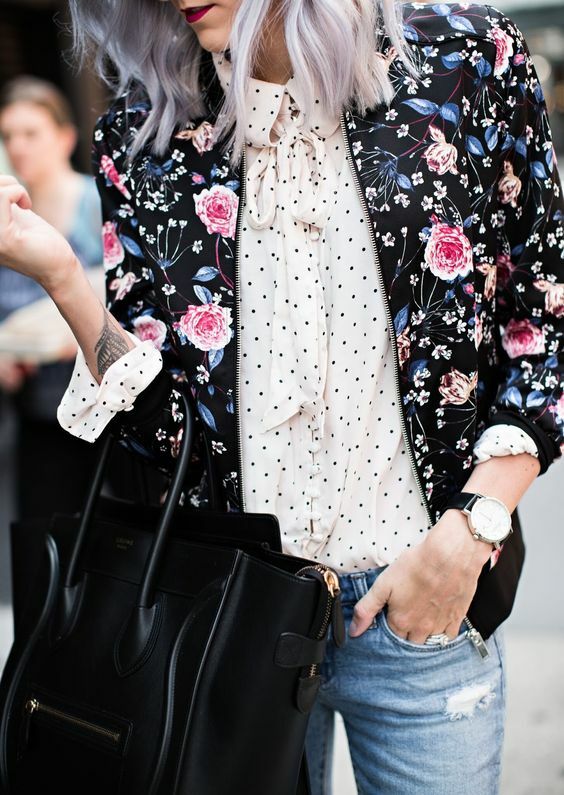 Combine oversized prints with tiny prints. Can this rule be broken? Absolutely. When you become a pattern-mixing pro, feel free to toss this rule out, along with many others, but it’s a great jumping off point for the timid, because it really makes pattern-matching foolproof, as in the following looks. Skinny stripes and a bold graphic. 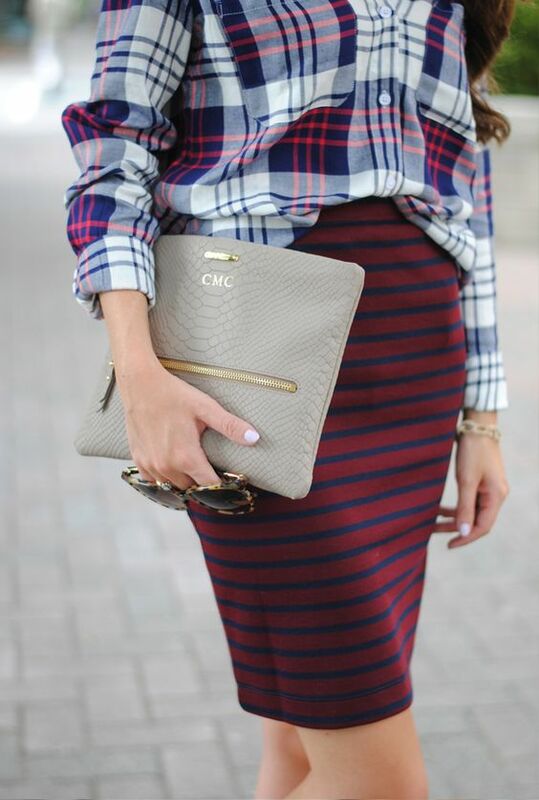 Big plaid and small check. 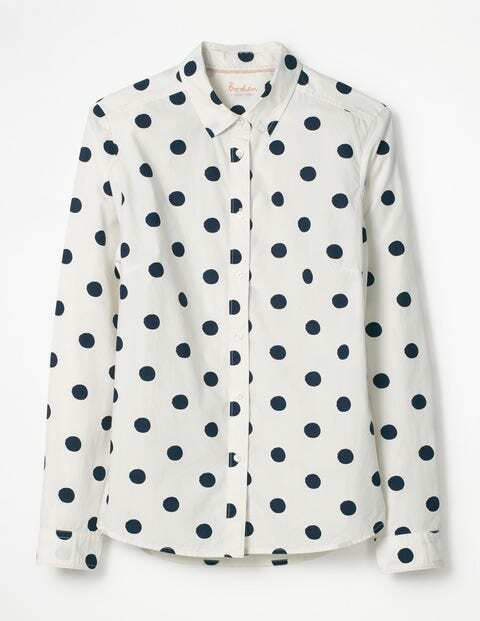 Small gingham and big polka dots. 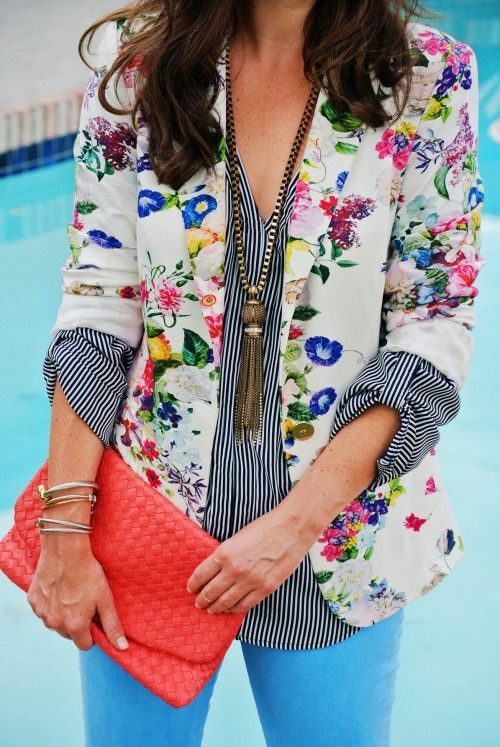 Bold floral and small stripes. Tiny dots and big flowers. Slim stripes (on top) and large folksy print. 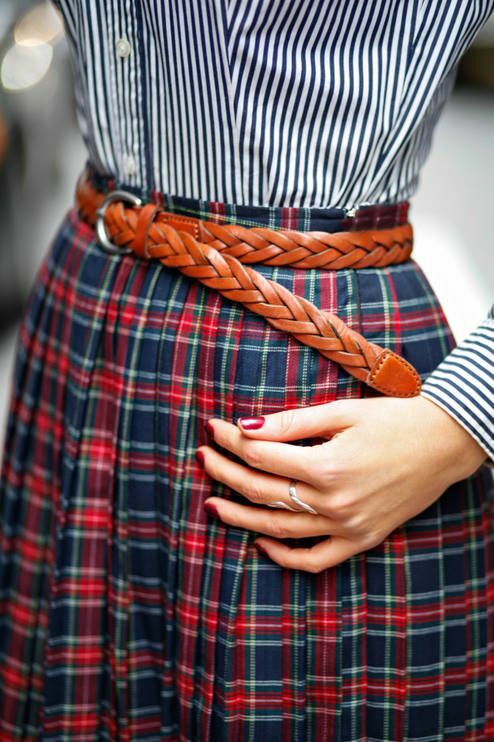 (This is next level, but so is everything Olivia Palermo wears). Another beginner’s tip: Unite contrasting prints with a color scheme for best results. Whether both prints are set against a bright white background, or there’s a single color shared by both prints, this tip makes pairing patterns almost effortless, as in the looks below. 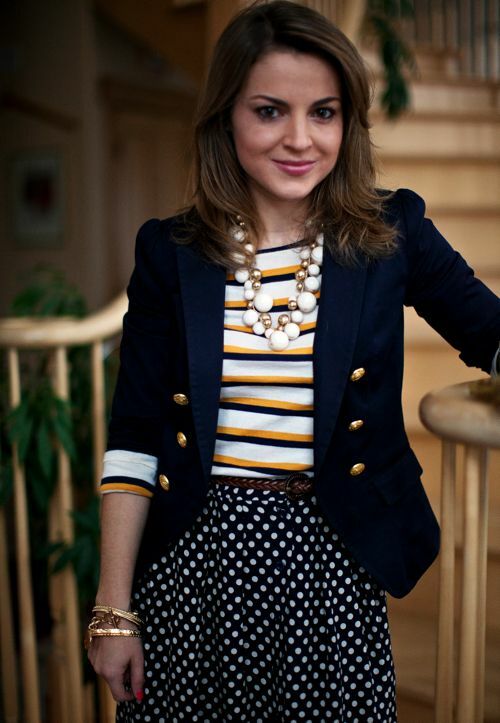 The blue and yellow tie this colorful look together. The black in the leopard echoes the black in the plaid in this bold combo. 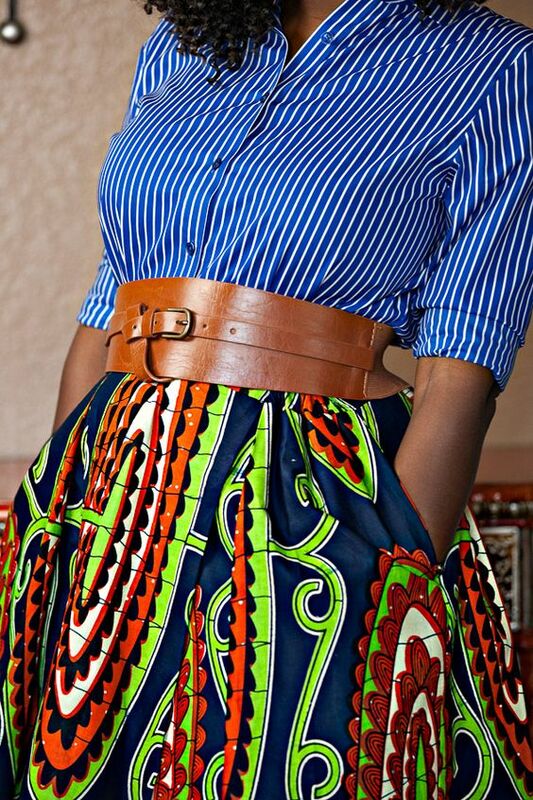 Both colors in both prints make this a natural pairing. Both of these prints are bold, and of the same scale, but they are united by a white background. You can mix and match any of your favorite prints, but since we’ve already covered striped tops and animal prints in this series, I’ve shared items in a couple of beautiful florals, a snappy plaid and a cheerful polka dot. I hope these tips help you become a mix-and-match-master, and inspire you to create new combinations with the patterns already in your closet.